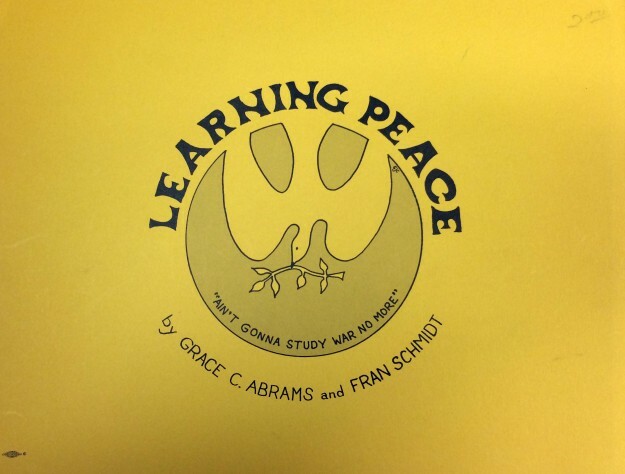 The Jane Addams Peace Association was founded in 1948 to promote world peace. Since its founding the JAPA has primarily worked to provide peace educational resources to children and has given an annual children’s book award since the 1950s. The item below is a teacher resource published in 1972. 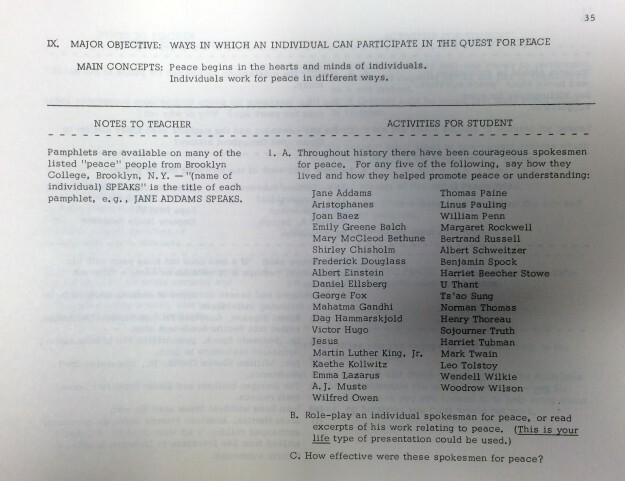 It includes lesson plans for teachers to promote peace in their students. For example the objective of the lesson below is to show “ways in which an individual can participate in the quest for peace.” Although not a political organization the item from the JAPA below is an artifact of the Peace Movements and Women’s Movements that really took off in the 1970s in the Wake of Vietnam.